Desktop microphone with UP/DOWN/FAST tuning buttons. 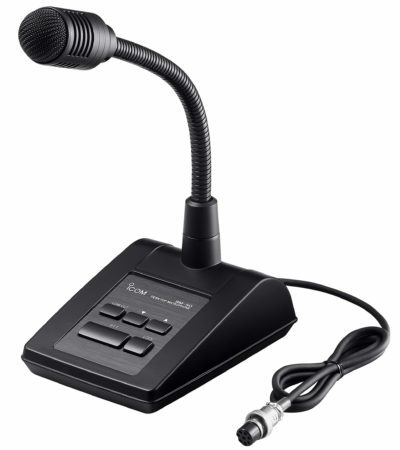 The Yaesu MD-100A8X desk microphone uses a cardioid dynamic microphone element. It features an UP-DOWN tuning control (on compatible Yaesu transceivers), a scan switch, a switch for PTT (push to talk) and also a lock feature. On the bottom of the microphone base there is a High Emphasis switch and a Low Cut Switch. 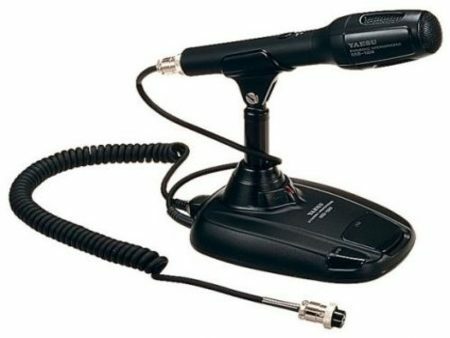 The microphone cable terminates to an Yaesu 8-pin microphone plug. 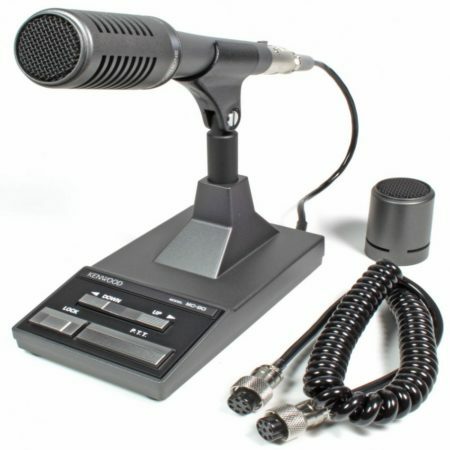 Also contained in the box is a reversible coiled cord adaptor, which allows the microphone to be connected to a RJ-45 type modular, or a Yaesu 8-pin Mic plug. Yaesu MD-100 A8X Amateur Radio Shops HAM Radio Dealer Supplier Retailer. Had one of these from LAMCO for a couple of years. Works very well, good audio, nice and solid on the desk. Works with the FT950 and the FT450D. The cable can be turned around so you have the right connector on the rig.